New Website designed to have a vintage look & feel. Click the image above to view the website. 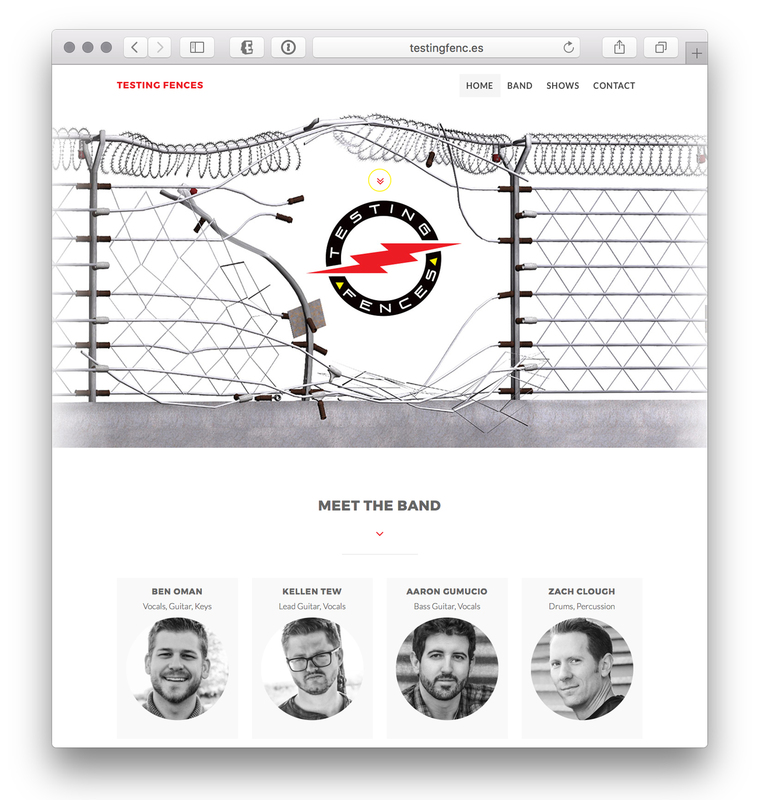 Designed, Launched, and currently maintain website for Testing Fences, an Alternative Rock Band based in Salt Lake City, Utah. Site and logo were designed with vintage in mind. Pops of color give purpose and visual cues for buttons, logos, and other important information providing the best possible user experience while being simple and effortless to navigate. Also created new brand. View the Branding & Print section of this site for more information.